Positive energy is not only emitted by our facial expressions but by what we wear as well. 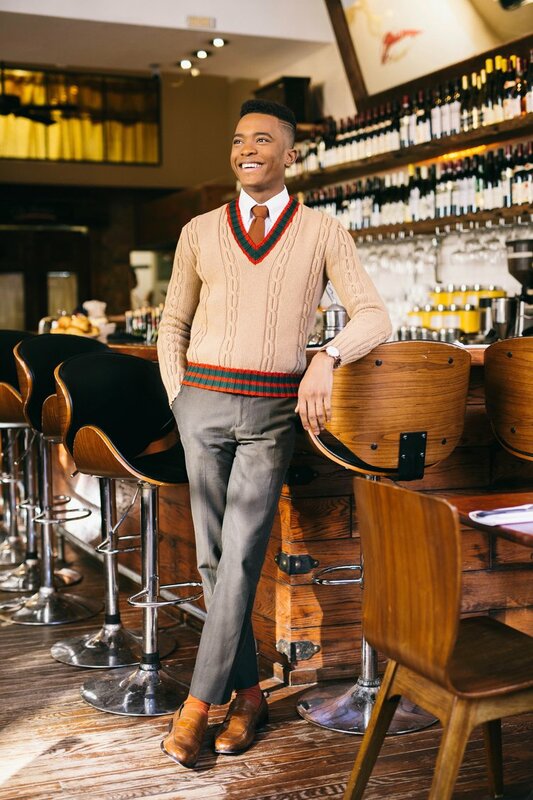 Rocking his own clean, colorful, and classic style is none other than New York fashion blogger Igee Okafor who was first born and rasied in Lagos, Nigeria as the oldest son of four. For the majority of his early life, Igee went to boarding school where he thrived in the performing arts department developing a strong love for the stage whether it was acting, singing, dancing, or modelling. He enjoyed the use of color and like many of us, was intrigued by Disney movies. Both talkative and reserved, Igee had a thoughtful and creative side growing up. Personal style was always a key characteristic of Igee as a kid. Ever since he was a boy, Igee favored things tailored to his personality. He remembers untucking shirts at birthday parties contrary to his mother's wishes or rearranging belongings as envisioned. As today's young man grew older, he drew towards more magazines, books, and the internet. 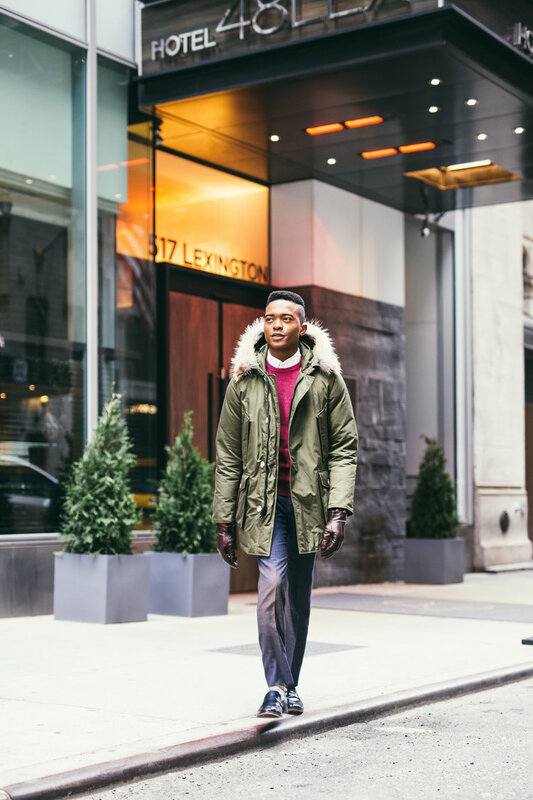 Igee's interests eventually led him to New York for college where he interned for some of the world's most exciting and leading companies in fashion. Influenced by his surroundings, Igee began his own website where he can let his personal style fly free which has been evolving since childhood. Fashion for Igee is a way to strike creative conversation about clothing and how it relates to the world. It's a glamours yet thought provoking aspect of ourselves that's a product of often overlooked hard work. We live in an era of fashion so absolutely diverse and with a plethora of different viewpoints. Luckily for Igee, he lives in the epicenter of it all, New York, where he also enjoys its other artistic divisions such as music, dance, theater, and production. For the future, he hopes to be happy with a successful and thriving business in menswear, lifestyle, and the entertainment industry. With a positive attitude and smile on his face, Igee's positive energy will take him higher than the city itself. Igee's classic and clean style is absolutely timeless. 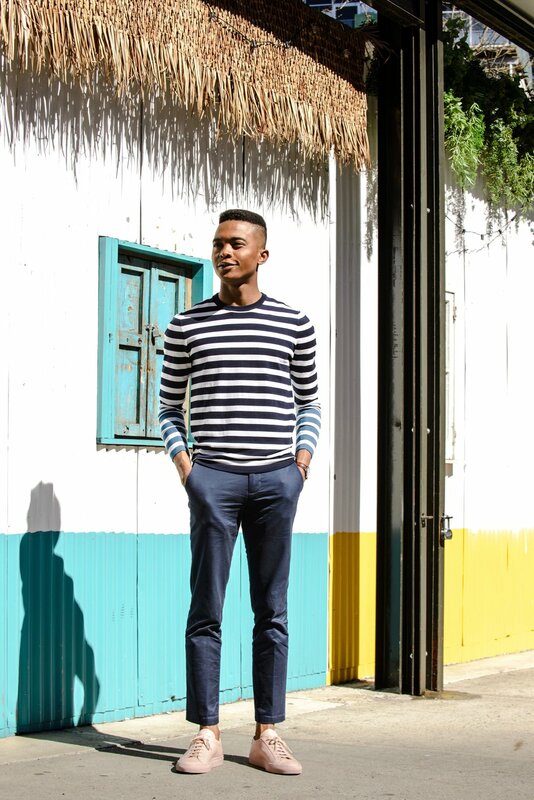 His pops of color never fail to turn heads, and with his perfectly fitting clothing, Igee feels confident and comfortable wherever he ventures. 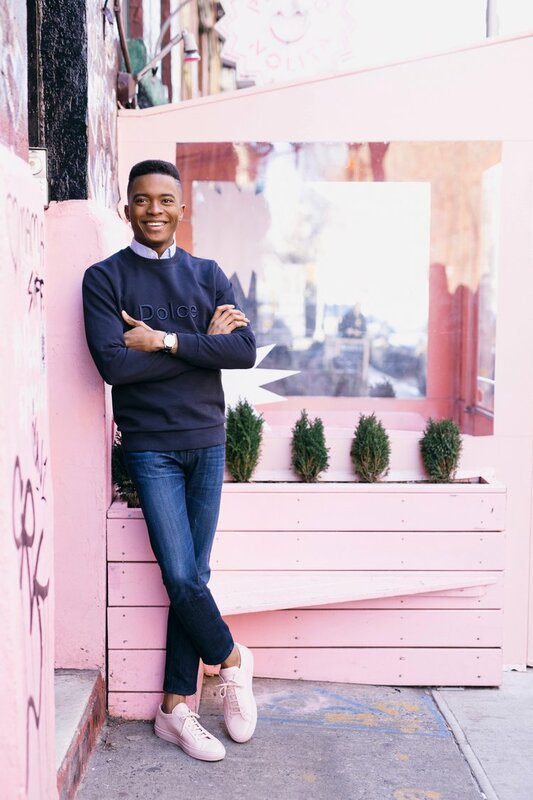 As seen in these lovely shots, this young man can be seen wearing dashing sweaters, classic denim, pink leather sneakers, vibrant slim chinos, or a rugby hoodie. He's a source of endless ideas for men's spring outfits with wonderfully put together palettes. 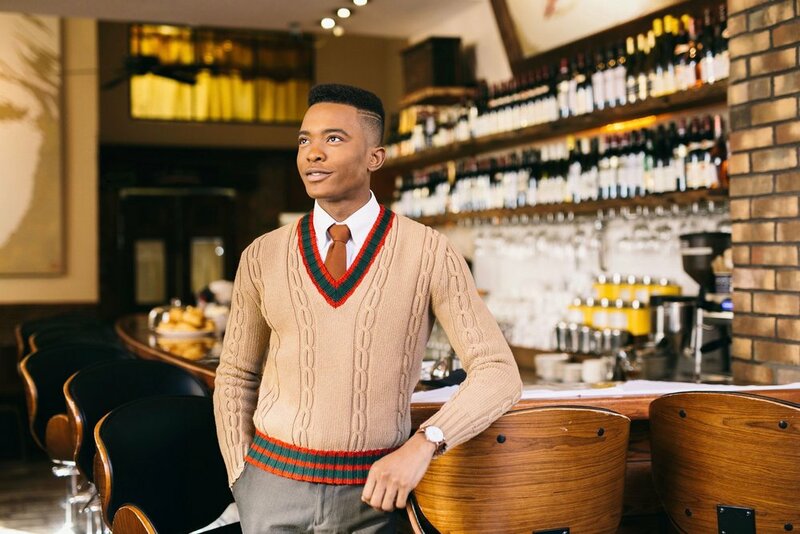 Igee's shooting locations are equally as charming as his apparel ranging from a rural area to a modern bar to the streets of New York. We highly recommend checking out more of Igee Okafor and his personal apparel! Check Igee's blog www.igeeokafor.com and follow his Instagram @igeeokafor! Photography by Mark David @death.beforedecaf, Ben Salafia @bensalafiaphoto, and Aren Johnson @wishmd!